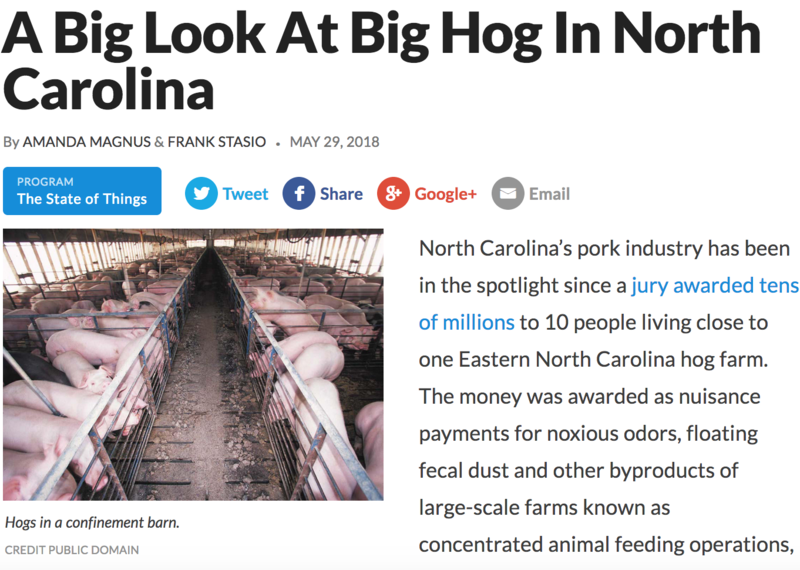 Did you know that Smithfield Foods is a $15 billion global food company and the world’s largest hog producer and slaughterhouse? (Smithfield slaughters 32,000 hogs per day; that’s 33 hogs per minute or 1 every two seconds.) Join Food Sleuth Radio host and Registered Dietitian, Melinda Hemmelgarn, for her interview with Lynn Waltz, assistant professor of journalism at The Scripps Howard School of Journalism and Communications at Hampton University, Hampton, Virginia, and author of “Hog Wild: The Battle for Workers’ Rights at the World’s Largest Slaughterhouse” (University of Iowa Press/2018). 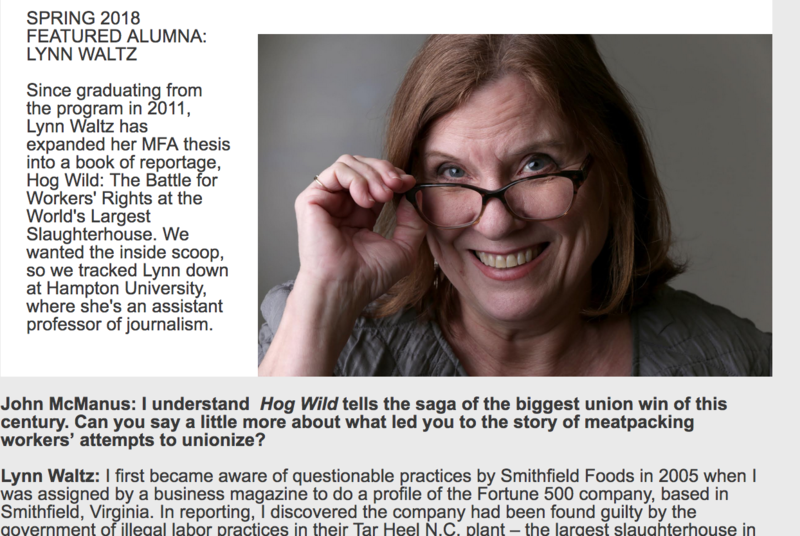 Waltz shares her extensive investigation into how the Smithfield slaughterhouse changed the landscape of eastern North Carolina and how and why workers fought and won the right to unionize. Waltz helps us understand the high costs of cheap meat, and offers hope and policy solutions for a more sustainable food system.